Firmoo is an online optical store that offers quality prescription and non-prescription glasses and sunglasses at discount prices. Their aim is "Vision and Fashion the Frugal Way." At Firmoo.com, you can use the Virtual Try-On System to view frames on your own face by uploading photos, or you can view frames on a model with similar facial features. 98% of Firmoo's customers have found their perfect-match glasses this way, myself included! 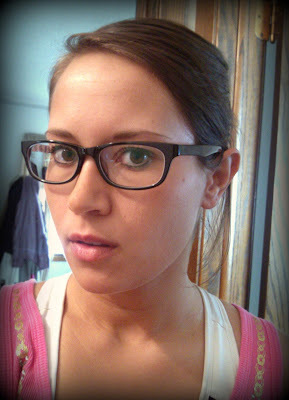 I uploaded a photo of myself to "try on" frames as I was browsing the site, and sure enough, I found my perfect match. 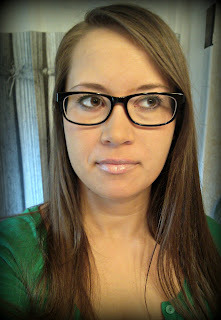 I have never had plastic frames before, but I really wanted to try out the whole "nerd/hipster" look. Not only was it easy to visualize which frames would look good on me with the Virtual Try-On System, but the measurements provided for each frame also helped me find a pair that would fit my face. As someone who usually only wears glasses at night after taking out my contacts, I'm amazed by how often I've been wearing these glasses during the day. They fit so well and feel really comfortable. Plus, they make a fashion statement! I might get a non-prescription pair too, just for fun. I also got to pick out a pair of non-prescription sunglasses for review. I chose a celebrity-inspired style with large round frames and cute white bows on the sides. 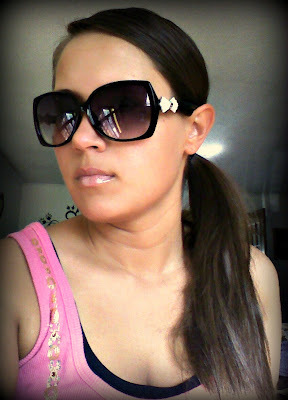 I absolutely adore these sunglasses! I've received many compliments on how cute they are, and I wear them all the time. Not only was my shopping experience at Firmoo a pleasant one, but I am really impressed with the quality and style of frames that I received. I recommend Firmoo to anyone looking to buy glasses. And if you're a first-time customer, you can take advantage of the First Pair Free program and get your first pair free!